The BBC has announced it will be operating a 'pop-up' or temporary radio service for Eurovision for the second year running. 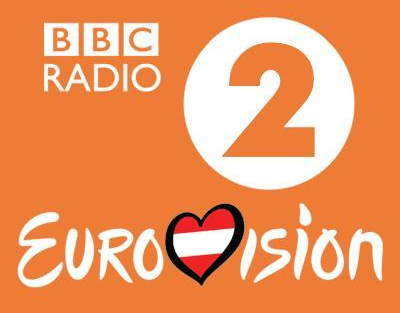 BBC Radio 2 Eurovision will be available from Thursday 21st May to Sunday 24th May 2015 with a number of Eurovision related features and live coverage of the finals from Vienna, Austria on Saturday evening. The service will be on air on Thursday 21st and Friday 22nd from midday until midnight, and on Saturday 23rd and Sunday 24th May from 10am till midnight. It will be carried on DAB digital radio, online and via the iPlayer Radio app and through UK Radioplayer. The BBC reports that the station contributed to a "7% jump in digital radio sales ahead of the launch last May." Led by Brett Spencer (Editor, Digital, Popular Music) and Helen Thomas (Editor, Radio 2), the pop-up service will feature shows hosted by Scissor Sisters star Ana Matronic, Paddy O’Connell, Scott Mills, Sara Cox, Ken Bruce, Steve Wright, Maria McErlane, Tony Blackburn, Sonia, Rufus Hound, Vanessa Feltz and Sir Terry Wogan, who famously presented the UK TV coverage of Eurovision on BBC One from 1973 to 2008, with his cutting commentary and deadpan one-liners a signature of Eurovision nights. "I’m delighted to announce the return of Radio 2 Eurovision – the station’s third digital radio pop-up service – a carefully curated schedule of programmes featuring the best of Eurovision past and present that’s guaranteed to satisfy even the most dedicated of Eurovision fans. Each year, the competition unites the country and I’m proud to be offering listeners a truly digital experience once again with coverage across Radio 2 and its complementary pop-up service Radio 2 Eurovision." This year, Electro Velvet will be representing the UK with their song "Still in Love With You". Australia has been invited to take part in this year's 60th anniversary show, which has the theme "building bridges". Update: During BBC Radio 2 Eurovision's spell on air via DAB, the BBC will not broadcast its 7 day Electronic Programme Guide for BBC National DAB. The Daily Service will not be broadcast on DAB on Friday 22nd May and some BBC DAB stations will operate on lower bitrates.